On a recent trip to NYC, I was fortunate to have the opportunity to visit the High Line, a new linear park located on Manhattan’s West Side. 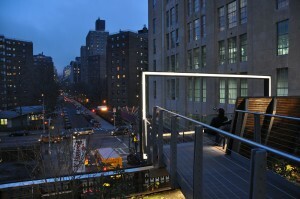 The High Line is a public park built on an historic freight rail line elevated above the streets on Manhattan’s West Side. Owned by the City of New York, this fantastic urban space runs from Gansevoort Street in the Meatpacking District to West 34th Street, between 10th & 11th Avenues. Anyone lucky enough to visit the city in the coming months or years, I highly recommend a visit! The High Line was built by the New York Central Railroad between 1929 and 1934 to lift dangerous freight trains from Manhattan’s streets. 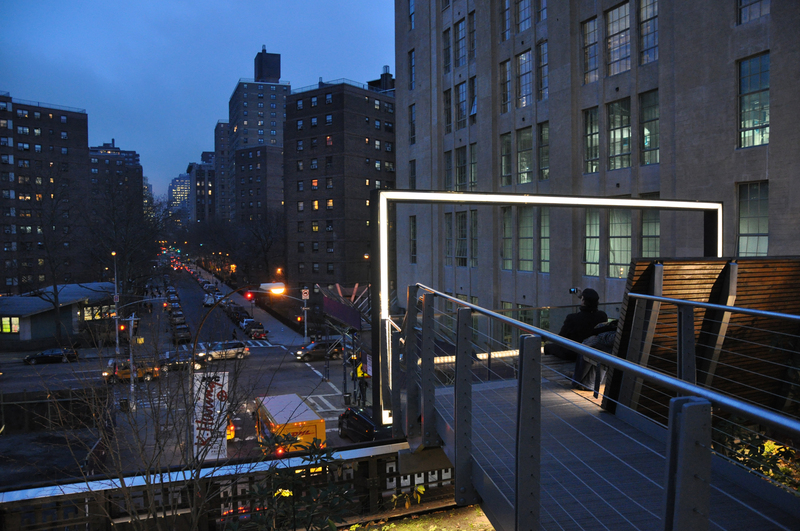 The High Line was part of a much larger rail infrastructure project called the West Side Improvement, which eliminated street-level train crossings in this part of Manhattan. The High Line’s trains carried meat, produce, and dairy products into warehouses and factories at the second floor above street level. For many years the High Line was a vital part of the busy manufacturing landscape of the industrial West Side. However, as trucking began to replace rail as the primary means of moving freight in New York City, train traffic declined on the High Line and the souther most section was torn down. By 1980, the trains had stopped running. 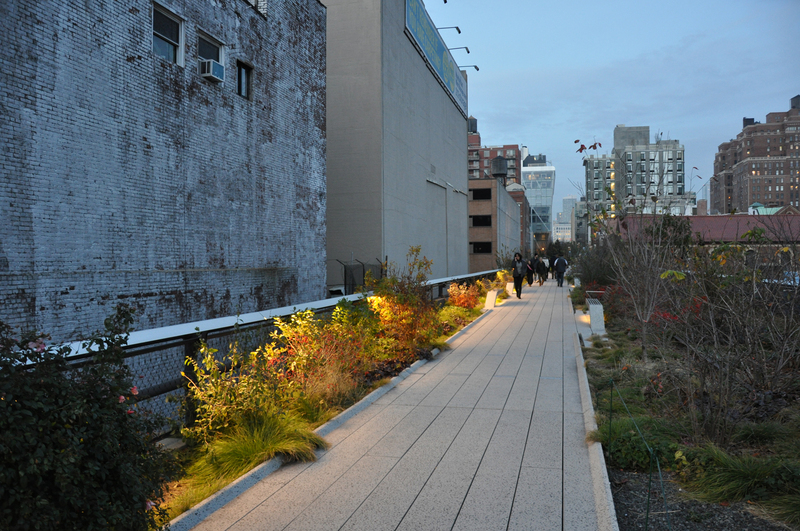 What was left of the High Line, was slowly taken over by self-sown landscape. In 1990, with the High Line threatened with demolition, neighbourhood residents Joshua David and Robert Hammond formed ‘Friends of the High Line’ to advocate for the preservation and reuse of the structure. 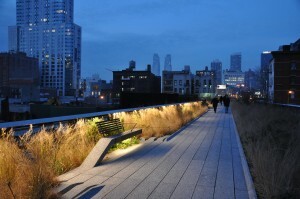 In 2002, through the leadership of Mayor Michael Bloomberg and the New York City Council, the commitment was made to transform the High Line into a one-of-a-kind park. Innovative design was central to the vision as the goal was to create a public landscape as unusual and unexpected as the High Line itself. The design for the High Line is a collaboration between James Corner Field Operations (Landscape Architects), Diller Scofidio + Renfro (Architects / Urban Designers) and Piet Oudolf (planting designer). You can see more images and read more about this beautiful urban space here. The project was also featured recently on Wallpaper* magazine’s website.